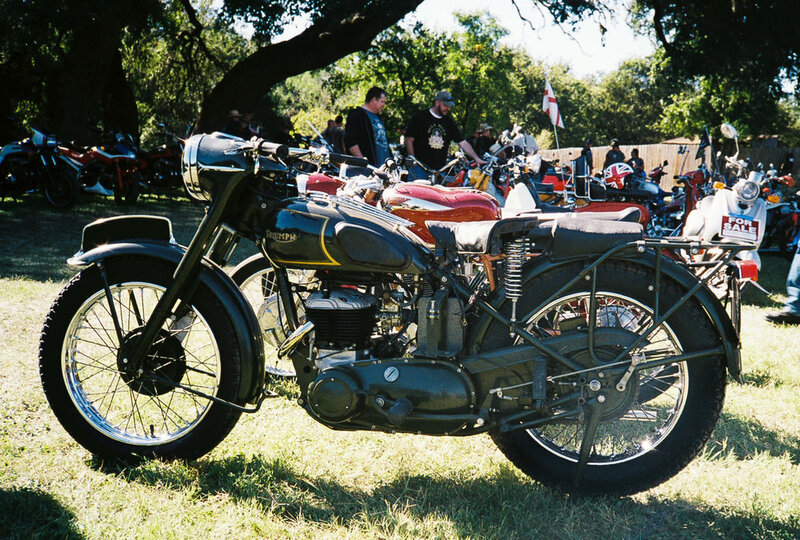 I recently attended the Harvest Classic, a classic bike rally held every October out in little ol' Luckenbach, TX. It's Autumn (sort of) which meant it was a chilly ride on my Sportster that morning to spend the afternoon in the heat and dust once the sun was overhead. 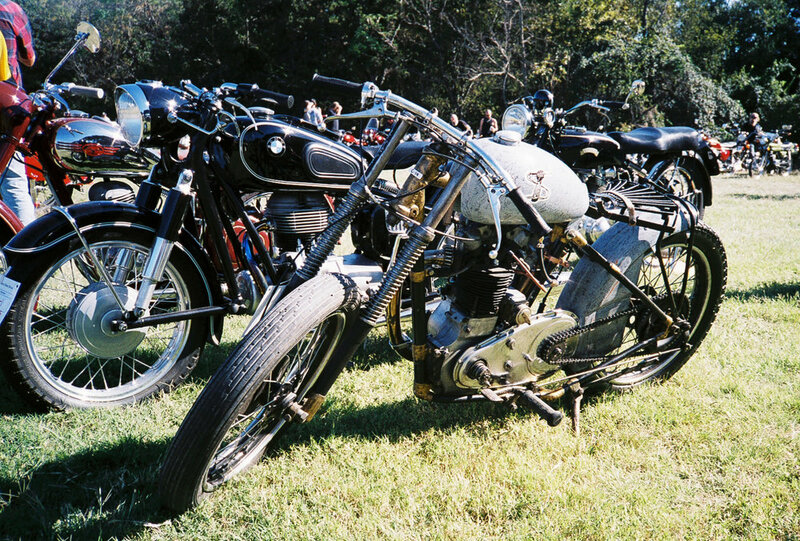 I met my friend Wes out there and I had a fun time wandering around checking out the bikes. 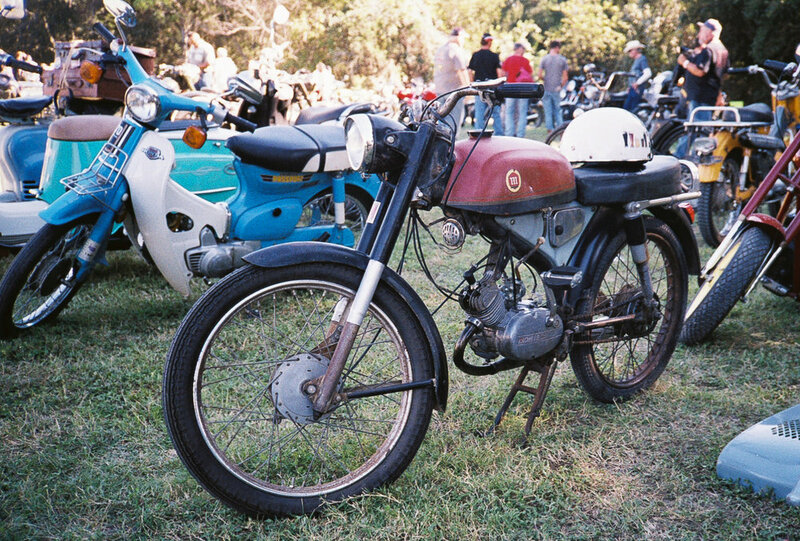 There was a great bike show going on and of course there were a lot of interesting bikes that people just rode in to hang out. It is easy for me to get carried away photographing the machines at events like this so to keep myself in check and make sure I spent time actually experiencing the event I set a strict limitation on myself. 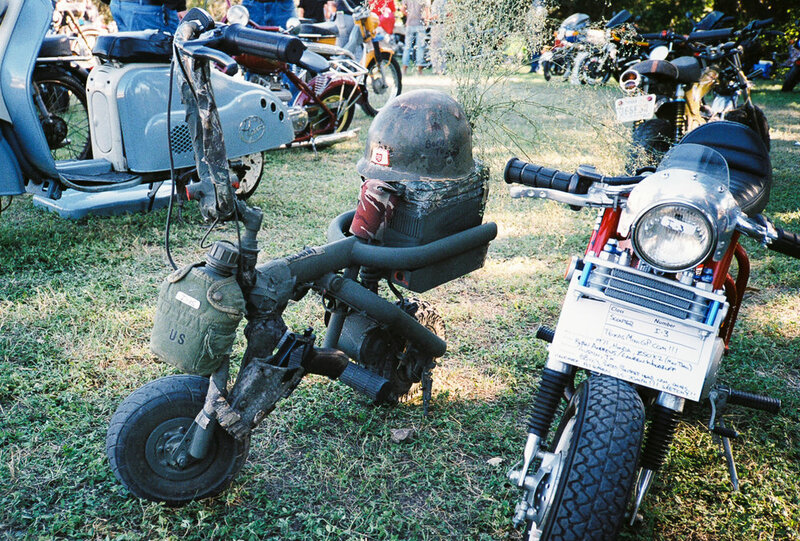 I took only an Olympus XA compact film camera and a couple rolls of cheap Fujicolor 200 film. The little XA fit neatly in a hip pouch so I didn't have to burden myself with a camera bag. 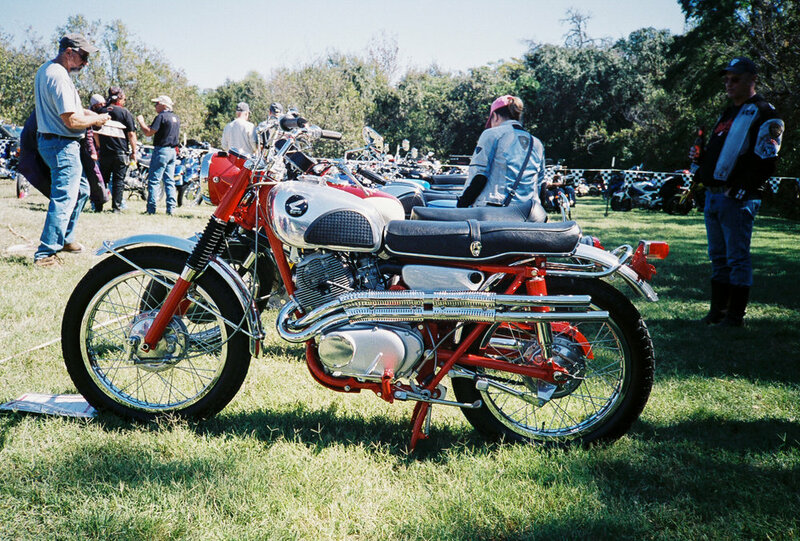 The photos have a retro look which complements the subject matter well I think. 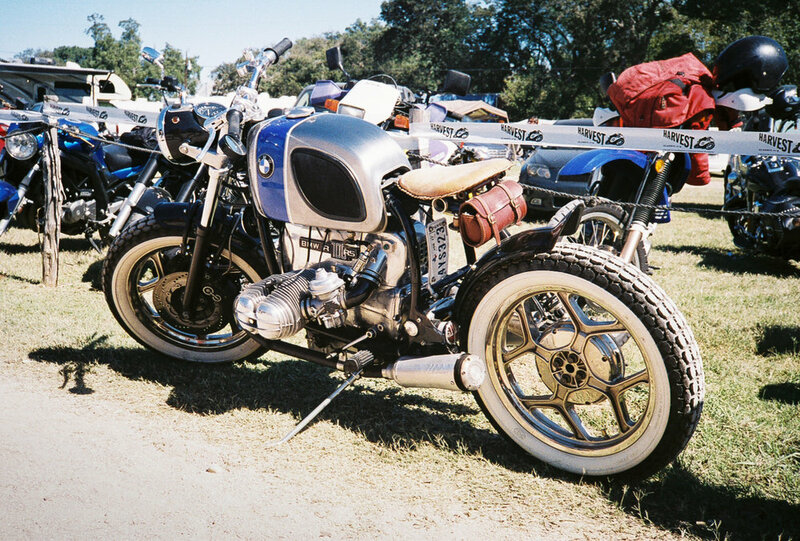 Yeah, I could have taken hundreds of tack sharp images with a digital camera of every bit of detail on the bikes. I found freedom in the limitation though and I really enjoyed the event all the more so for it.